Buying diamond jewellery for the first time can be exciting. You may also feel a little trepidation because you’ve never purchased something that has a price tag over 1000 pounds for your finger or ears. Luckily you have Hancocks Jewellers to help you figure out the cost of diamond jewellery, and what it really should be. We will also be giving you a few tips to help you choose your diamond jewellery. These tips will be related to cost. The cost of any diamond jewellery is based on cut, clarity, colour, and carats. This is known as the 4 C’s. 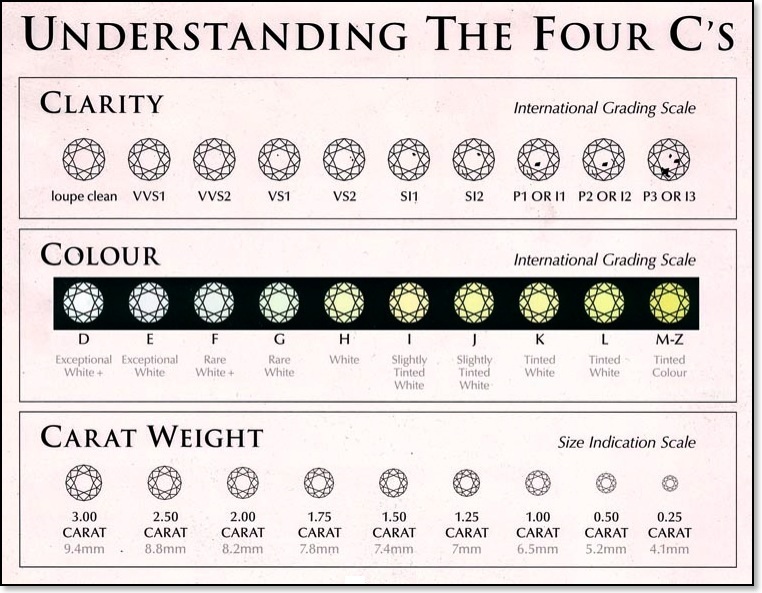 Please see our diamond guides for more information on the 4 C’s. We have explained what they mean, and how the cost is determined. The more diamonds on a piece the more expensive it will be. You also must look at the diamonds themselves in order to determine the cost. A larger diamond is often considered more expensive, but a smaller diamond with no inclusions can also be quite expensive. 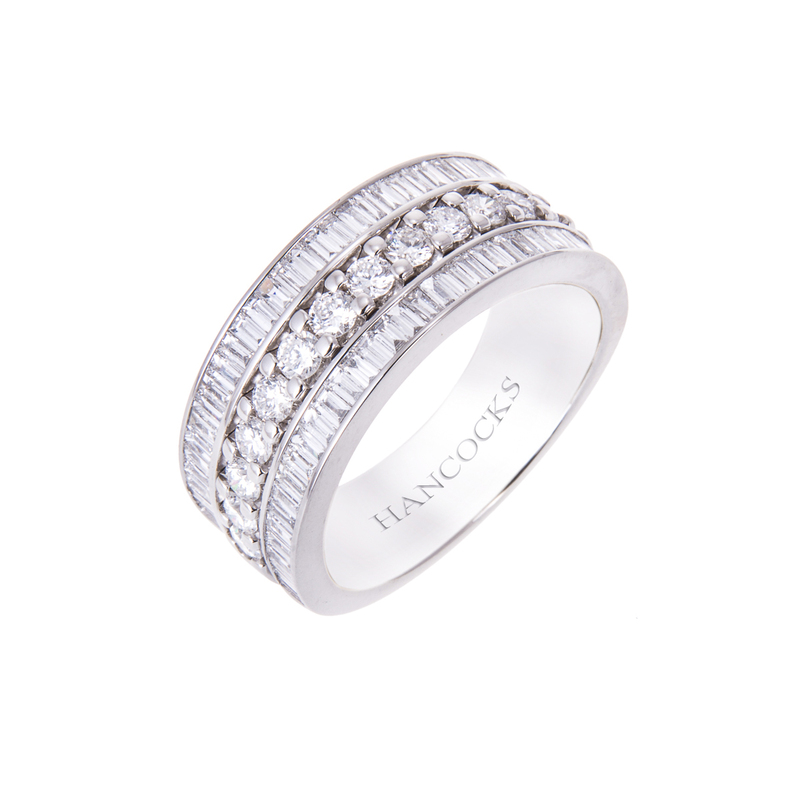 At Hancocks Jewellers you will find the answers you need. Each representative at Hancocks Jewellers experienced in the designer jewellery trade. They have been highly educated in diamonds and customer service. 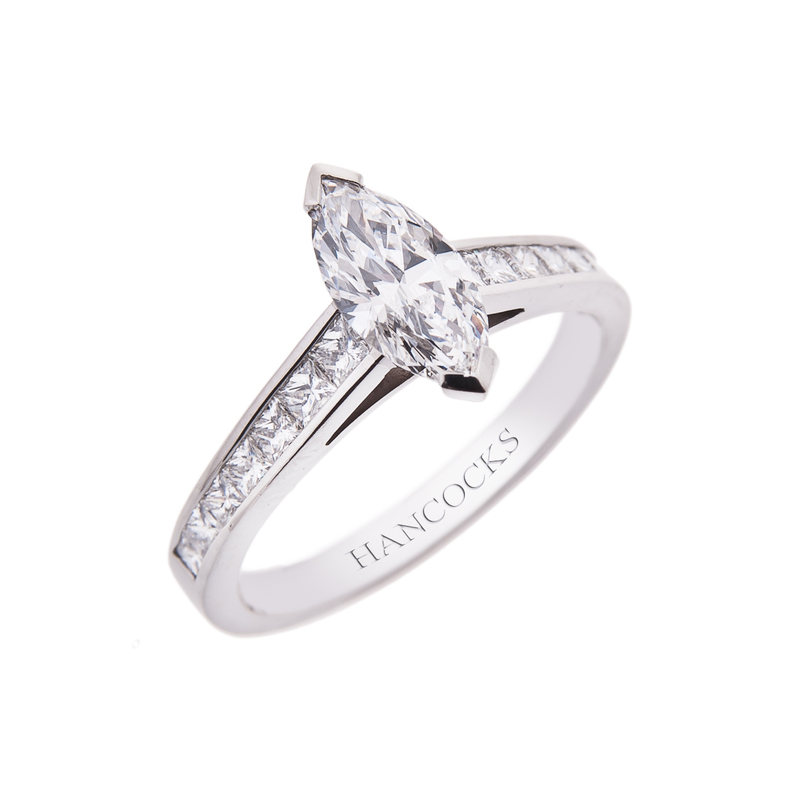 Hancocks Jewellers will be able to help you understand your options if you are on a budget. They will help you select jewellery that is right for you and the occasion. The most important thing to remember is cut, clarity and the setting is what will determine the cost. 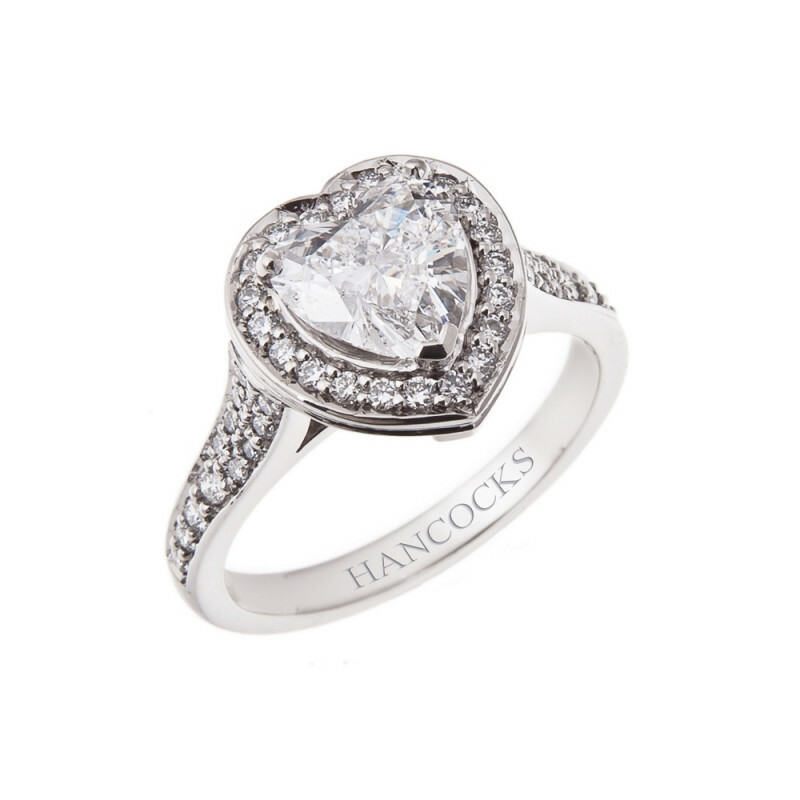 For example a platinum single stone ring with a heart shaped diamond from Hancocks Jewellers is 9250 pounds. This is a 1.8 carat diamond. A platinum single stone ring with the same diamond cut, but a .93 carat is only 6250 pounds. In this case the size of the diamond is important regarding the cost.